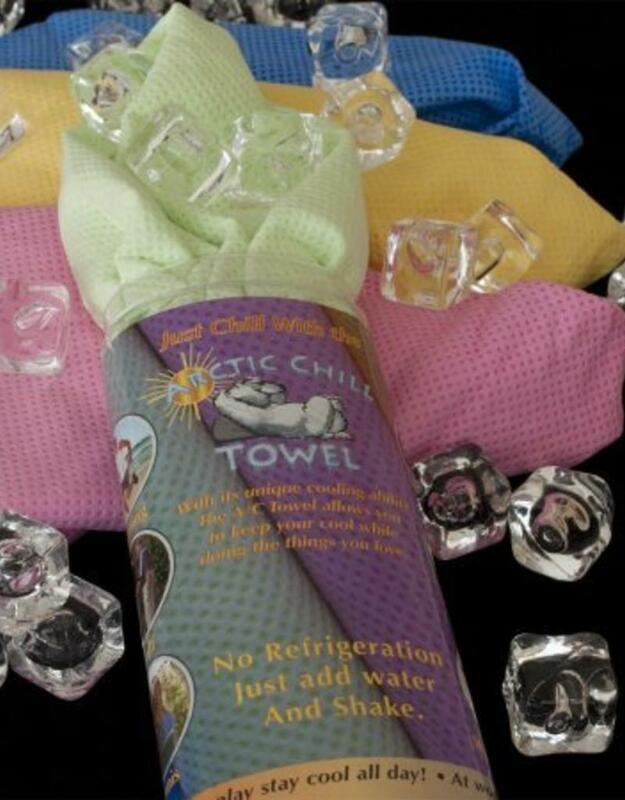 The Arctic Chill Towel is a cooling/sport towel that uses evaporative cooling to help you feel cooler as temperatures rise. 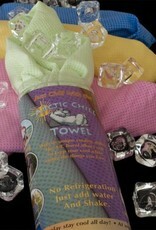 Simply wet the towel, wring it out, give it a shake and the Arctic Chill Towel feels up to 30°F cooler than the air temperature around you. As long as it’s wet, it’s cool!